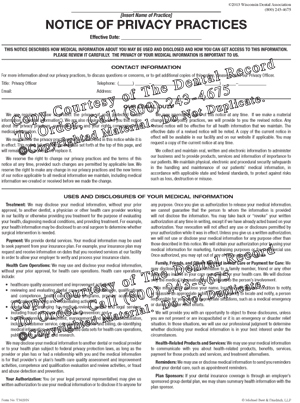 The Registration form has areas to record the patient's name, address, phone number(s), employer, Social Security number, insurance information, and a place for the patient's signature to give authorization for treatment, and release of information. 100 forms per tablet. When a new patient presents himself/herself to the office, the Registration Form should be completed. This form is appropriate for adults as well as children.